The Do It Yourself trend (DIY) is so prevalent in many communities and culture today that even those who have previously not shown any interest in the prospect of actually creating or making things by themselves, are now getting involved in the action. Why? Because it’s so awesome to actually make things by yourself. There’s actually a sense of accomplishment when you make a piece of furniture like a chair, table, reading lamp or even a hammock by yourself. Every day you look at the furniture, you derive a sense of pride in its existence, knowing that it’s something you created and you feel the need to make more. If you’re among these new ones that are just joining the bandwagon of DIYers and hobbyist, then you need to know that to become a proper DIYer, you need to have or learn some of the basics of woodworking, and also procure for yourself, some of the essential woodworking power tools. You cannot call yourself a proper kickassDIYer if you just have a hammer, tape measure and a handsaw in a makeshift workshop. No, you cannot. In order to become a proper kickass DIYer, you need to have some proper kickass power tools in your workshop as well. That is why in this article, I will be talking about 5 essential woodworking power tools you need to commence your journey as a proper DIYer. 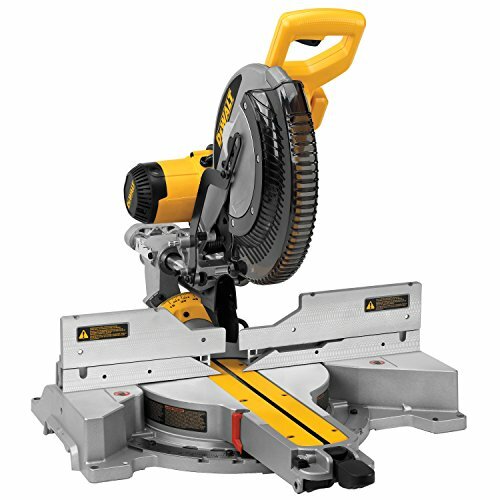 A compound miter saw is a must have if you really want to step up your DIY game. There are many types and sizes of compound miter saws out there. However, a good 10 inch blade sliding compound miter saw will work wonders for anyDIYer. A wood jointer is a pretty important tool which will make your life easier as a woodworker. Sometimes, you purchase wood, and you get some that are bent or skewed in a way. Both sides are not flat. What do you do? A wood jointer comes to the rescue. You can use a wood jointer to make your wood stock flat so that you can easily work with them. Many a time, as a DIYer, you’re going to be working with old wood around your home. With a wood planer, you can easily repurpose old wood and use them for new DIY project. A wood planer is also used for reducing the thickness of lumber. So, even if you have many lumber in your yard with different thicknesses, you can use a planer to easily reduce all of them to the same dimension. Wood planers come in different sizes as well. There are industrial big floor models, and there are portable less expensive ones. All you need is a portable one, and you’ll be just fine. You can carry out a lot of DIY projects and achieve a lot with a claw hammer and nails. However, with a nail gun, you can carry out same projects in just a fraction of the time. Nail guns makes your job as a DIYer very easy and fast. So, as a proper DIYer, it is important that you have a nail gun combo kit to help you through your projects. Making long straight cuts are a lot easier if you’re using a circular saw. A table saw will also do the same job of a circular saw. However, you may not have the bucks for a table saw which is much more expensive. Hence, unless you have the money to purchase a table saw, you’ll do just fine with those long straight cuts using a decent circular saw. Those are the 5 essential woodworking tools every proper DIYer should possess in his/her workshop. Having these tools will certainly make your life easier as a DIYer.